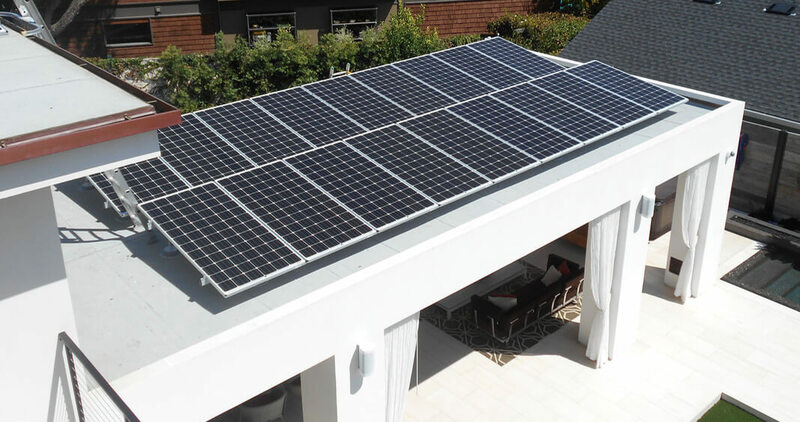 When installing a solar system our chief concerns are strength, longevity, waterproofing, and aesthetics. For that reason, all of our roof installations mount directly to the roof joists, using solar-industry best flashing, mounting, and waterproofing techniques. To prove it we offer a 10-year warranty against roof leaks. We hide our conduit as best as we can, even going into attic spaces if practical and we always color-match any exposed conduit on roofing or wall surfaces. We guarantee you’ll be happy with the end results. Composition shingle is the most common and simplest installation roofing surface. If your composite roof is over 15 years old you may want to consider having it inspected before installing solar. We are happy to help you with that. Ask us about Composition Shingles. Concrete tile roofs are a little more complicated than composite roofs but they’re very popular in Southern California and Sungenia’s done a lot them. We never drill through, notch, or remove tiles but instead use the best stainless-steel, compression tile mounts in the industry. The result is clean, strong, and waterproof. Ask us about Concrete Spanish or Flat Tile. These roof-types are very popular in both high-end and older homes. But the tile is fragile and should not be mounted on. The only proper way to install on this roof-type is to strip the tile, lay down a layer of composition shingle, install the solar panels, then trim around the panels with the tile. This gives the roof a very attractive flush appearance to it. It’s very important to strip and comp the entire roof section from ridge to eave in order to create a completely impervious barrier underneath the solar array. Ask us about Clay and Stacked Tile. Flat roof? No problem. Tilted solar systems are standard in the commercial area but apply to residential roofs as well. You never want to install panels flat due to soil buildup and water shedding. Giving the panels a little tilt keeps them clean and improves their production. Ask us about Flat Roofs. Ground mount systems are a specialty of Sungenia and make a lot of sense for a lot of reasons. They’re easier to clean and repair, require no roof penetrations, and often offer better exposure to the sun. They’re about 20-25% more expensive than a simple composite roof but less than a clay tile roof. If you have the room you should give careful consideration to a ground mounted solar system. Ask us about Ground Mount Systems. 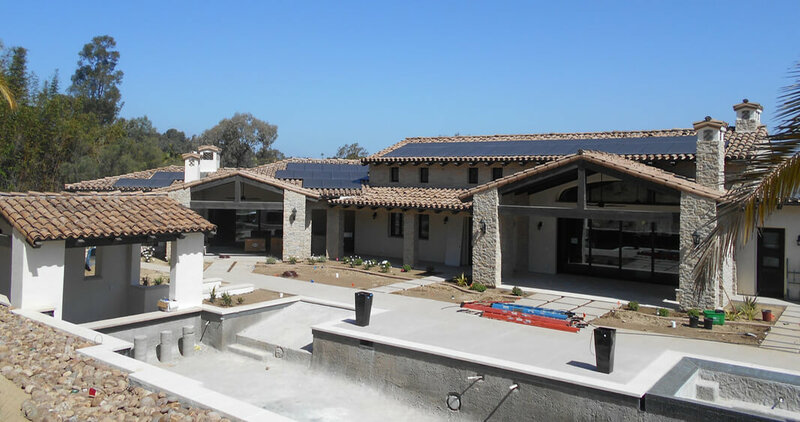 When building a new house or starting a major remodel, planning ahead for solar is important. When we install solar during construction, we are able to hide all the wiring inside the walls of the house, ensuring everything looks as clean and neat as possible. 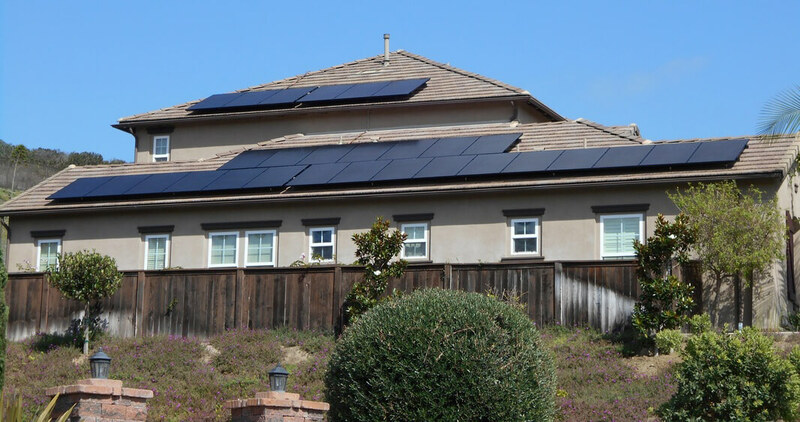 We will design your custom solar system to fit expected needs based on home features, equipment, and historical usage of comparable house and family sizes. Ask us about New Construction/Remodels. All of our systems feature mounts and racking by IronRidge. A California company, IronRidge has the strongest rails in the industry. This allows us to install a roof-mount system with fewer mounts, meaning fewer roof penetrations for the homeowner. And IronRidge’s pre-engineered ground mount designs mean avoiding expensive engineering design costs. For more information on the strength and quality of IronRidge racking systems visit www.ironridge.com.